Edit: Since uploading this I've added two 140mm exhaust fans on the top of the case. I find that they really help to remove heat from the case and they've reduced my temps noticeably. 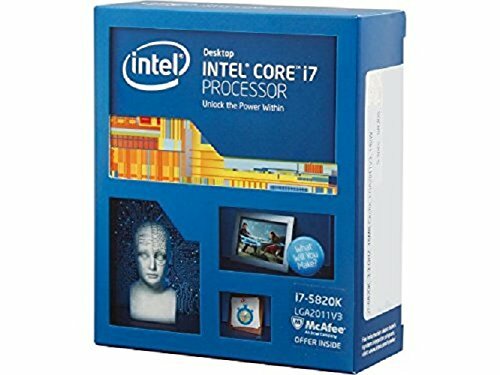 Great processor. I have it overclocked to 4.6 GHz and it tears through pretty much everything. I find that it barely breaks a sweat while gaming. Awesome cooler. It keeps my i7 5820K very cool even in a "silent" case that has reduced airflow. It's very silent itself and I cant hear it at all through my case. Generally speaking the installation was very easy, but I did run into an issue where the included screwdriver didn't seem to want to line up with the mounting screws, I had to remove a fan so that I could come at it from an angle in order to secure the cooler down. This is a top rate motherboard. In my experience Asus makes the best motherboards and this is no exception. The metal PCI slot is a great touch for those with heavy graphics cards. 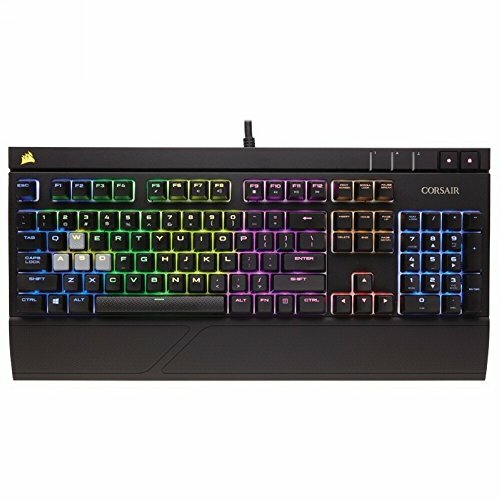 Also, the RGB lighting is a great touch for those who want to showcase their PC. 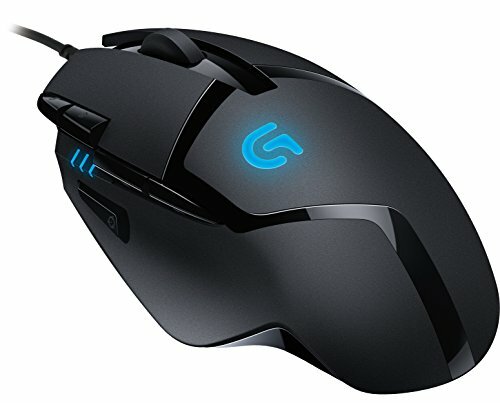 Not as many features as the Deluxe or Strix editions but I feel that for the price it's a great option. This is much more RAM than I will probably ever need, but I got it as a bundle from Newegg with my motherboard for a good deal. It seems fast enough and the low profile design make it a good choice for those with large coolers. 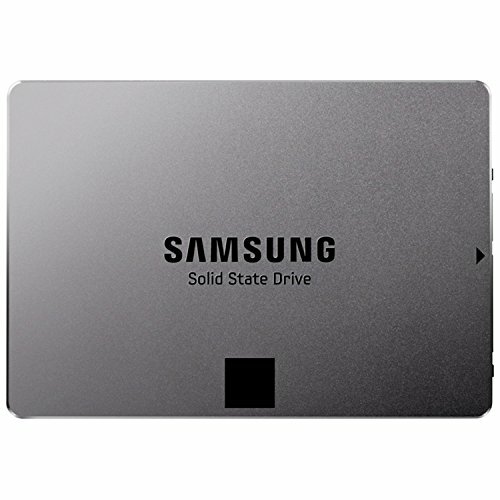 This SSD is a little old now and I believe that Samsung has some newer models, but this SSD holds up well and I believe that Samsung makes top notch SSDs. I just keep a few games and the OS on this drive as it's only 250 GB. What can I really say about this? 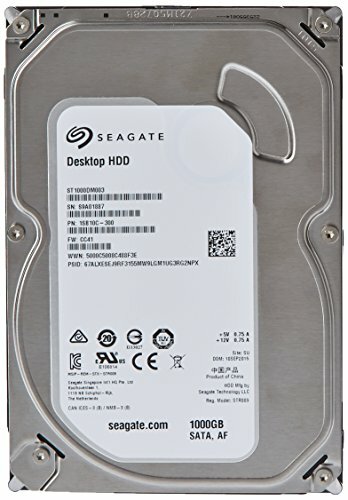 It's a pretty standard drive from Seagate and it gets the job done. Also, the price is great. I personally believe that Western Digital probably makes higher quality drives, but I had this left over from a previous build and it works fine. No complaints. Awesome card! Seriously if you are in the market from a GTX 1080 look no further. This card is a monster. Without doing any manual overclocking (I just open the Asus GPU tweak App and click the OC mode button) it overclocks itself to 2100 MHz which is great. I've never seen it thermal throttle and the hottest I've seen it get is 75 degrees Celsius (Unigine heaven for 20 minutes with everything maxed out). The fans are set to only spin up when needed which keeps the card very quiet and the RGB lighting is awesome for those with a side panel window. The Asus Aura software is easy to use and my favorite thing is setting the lighting to "music effect" mode where it flashes to the beat of your music (or to gunshots and explosions in games). There is a lot to like about this case. It's very easy to work with and has nice features like thumb screws that stay with the side panels so you don't loose them. The side panel is great looking and the case covers up the power supply and hard drives very well. Also cable management is great and the included extra fan connectors is a nice feature. However, it will run your fans and pumps at 100% as it plugs right into the power supply and is not controlled. I do find this case to be very silent and It does a good job muffling and sounds coming from within the case. That being said, I believe that you pay a price for this silence. I have found that using an AIO cooler in this case is not a great idea at least if you are planning on mounting the radiator on the top or front of the case. The silent design really chokes the fans and makes it so that in many cases air cooling achieves lower temps in this case. If your are going for an all air cooled build then this case is great. These fans are great. They move a good amount of air and they're pretty quiet. The Silent Wings 2 come with a more "silent" mounting system as these just come with regular mounting screws. I could be wrong, but I believe they're the same fan otherwise. They're definitely high quality and I picked them up for a good price on a newegg sale. NZXT Actually refreshed that case, I believe it's the Glossy white/black version and it comes with a PWM fan hub so you can control your fans, as well as a less restricted airflow design. Beautiful build with great photos! Enjoy using that monster! Hey how is the gpu? I highly recommend the card if your looking for a GTX 1080. It runs cool and quiet. This is actually the "OC" version of the card (PCPP doesn't currently distinguish from the standard Strix). The factory OC is higher than I've seen on any other cards so far which is nice. It runs the vast majority of my games on ultra at 60 fps without coming close to 100% load. Also, the RGB lighting is cool if your into that sort of thing. Hi nice build. I was planning on buying an asus MoBo x99 a-II just like you, but I have been hearing lots of bad comments on this motherboard.¿How does it work for you?¿have you had any issues installing parts, or with the bios? did that CPU cooler come with those white shrouds? 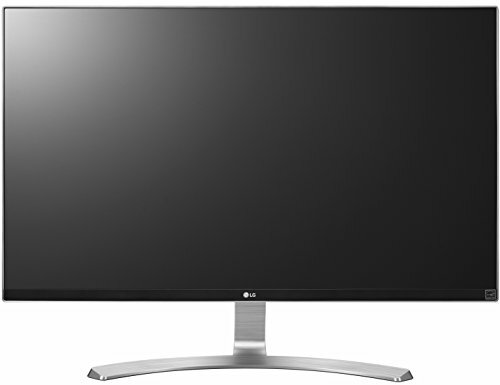 Funny that you should ask because I actually just returned my Acer S27HK because of backlight bleed and other issues... :-/ I didn't go with a G-Sync monitor because I really wanted an IPS panel and IPS monitors with G-Sync are way too expensive right now. If they ever come down in price I'll definitely pick one up.